Hi Everyone! Thanks for checking out The Stitch Sisters Podcast! Here are links to everything we’ve talked about – the only ommission is that we could not locate the Eat.Sleep.Stitch podcast on youtube. It was either removed or I was misinformed on the title. But when we do find it, we will give you a link! 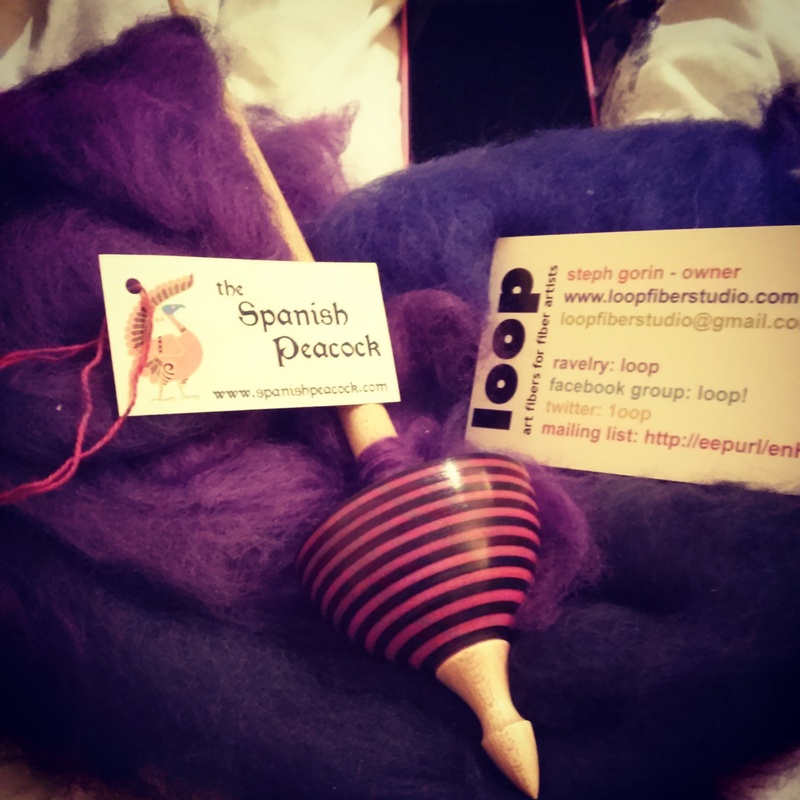 In Katy’s bag from Knitty Kat Bags she has her beautiful new supported spindle from Spanish Peacock and he was very kind to include some spinning fibre from Loop Fiber Studio in gorgeous deep purples!!! 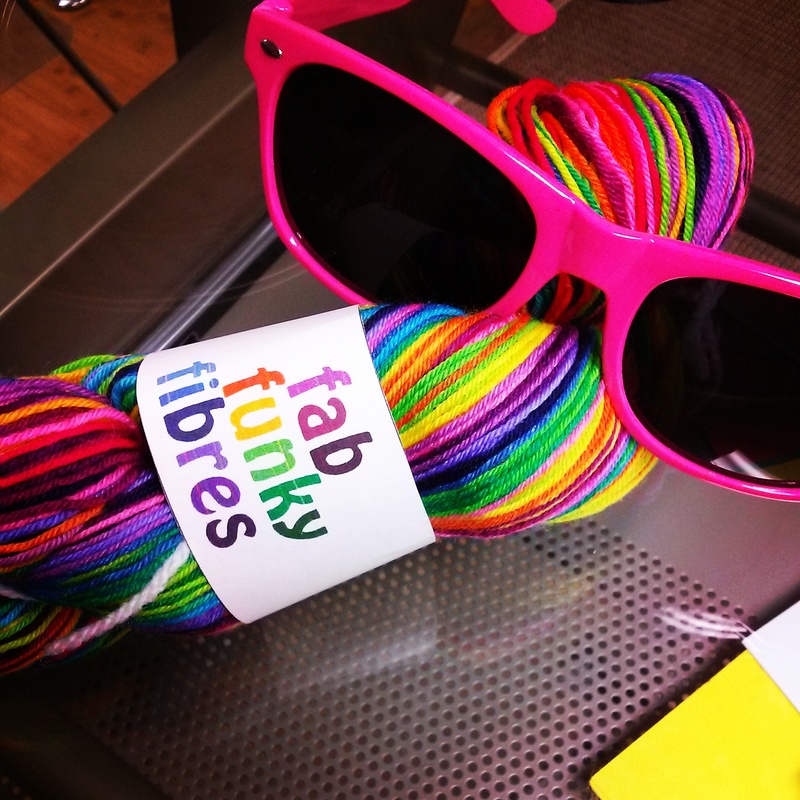 More fiber in Katy’s bag – Fifteen Colour Rainbow from Fab Funky Fibres!!! 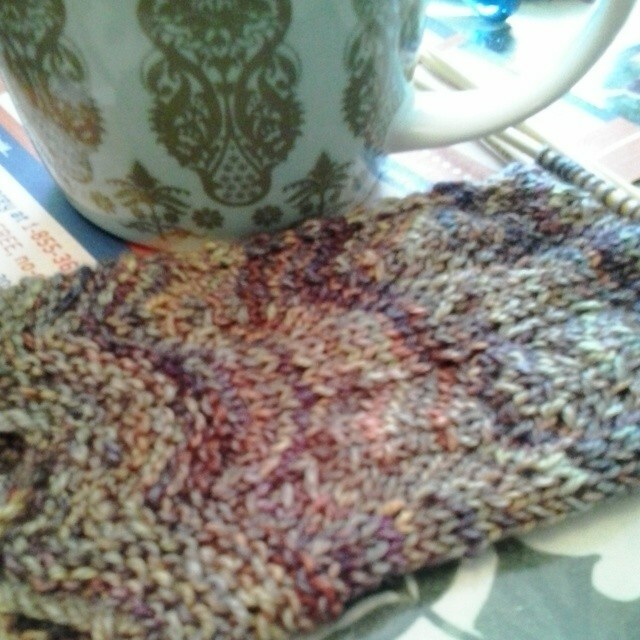 It’s gorgeous and destined to be the most beautiful socks! 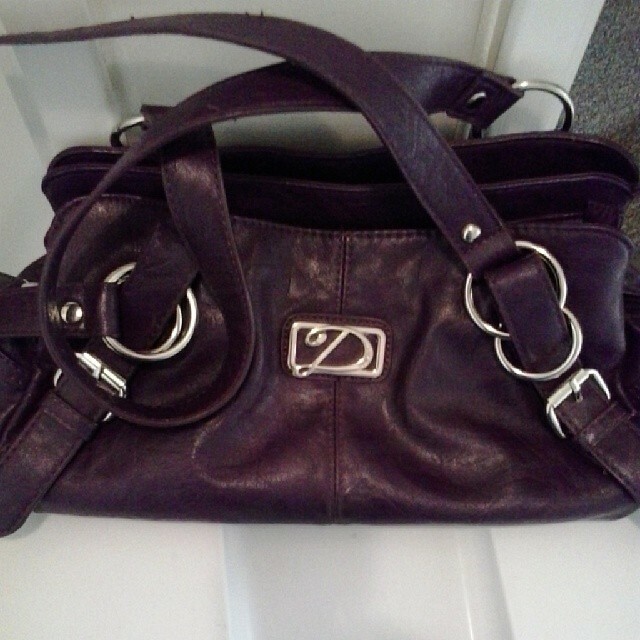 Val purchased a pre-owned, and absolutely gorgeous D Fusion purse for the summer for $10!!! Such a steal and a beautiful shade of deep plum! 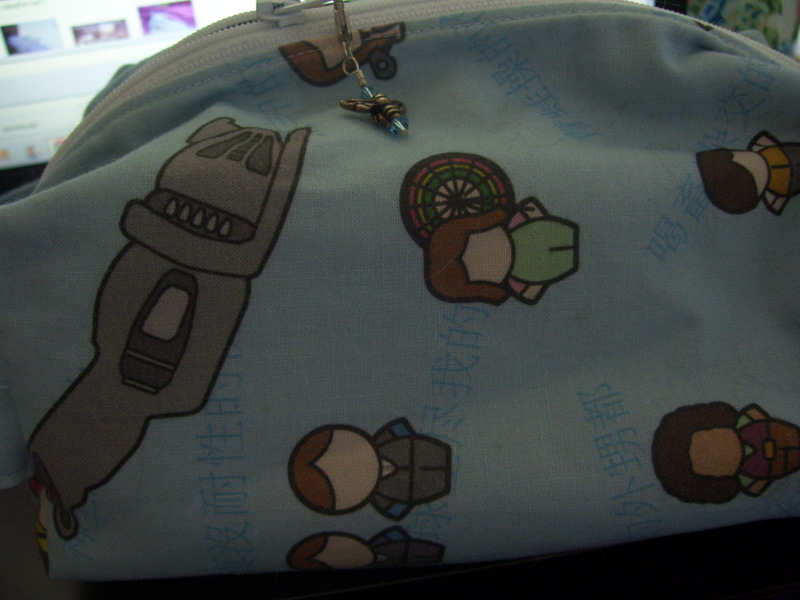 In which she has her Stitched by Jessalu bag in a Firefly inspired fabric! And inside THAT bag, she has a pair of Broadripple socks by Rob Matyska from Knitty Summer 2003 in Malabrigo sock ‘Archangel’. 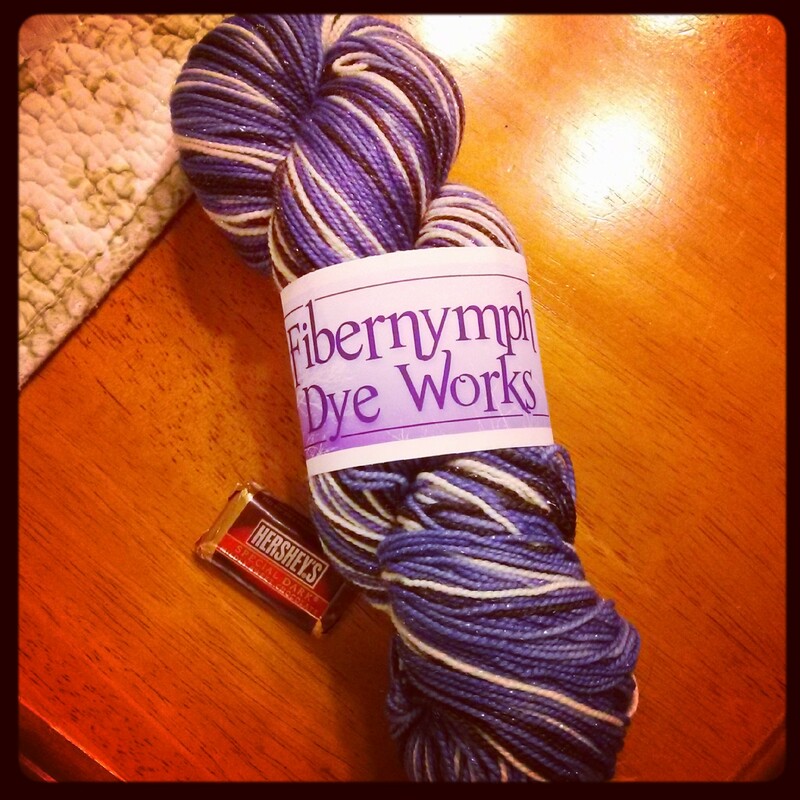 We also briefly discussed the greatness of Stephen West and how Katy’s husband’s Clockwork has been languishing in the UFO pile for quite some time while the new yarn was getting all the attention. Val talks briefly about corking and how she used to make trivets and hot pads when she was little, and how she’s mainly been knitting socks but she would like to branch out into knitting shawls like the Ishbel by Ysolda Teague! We are anxiously awaiting the arrival of our Chinese needles from ebay so we can cast on ALL THE THINGS!!! 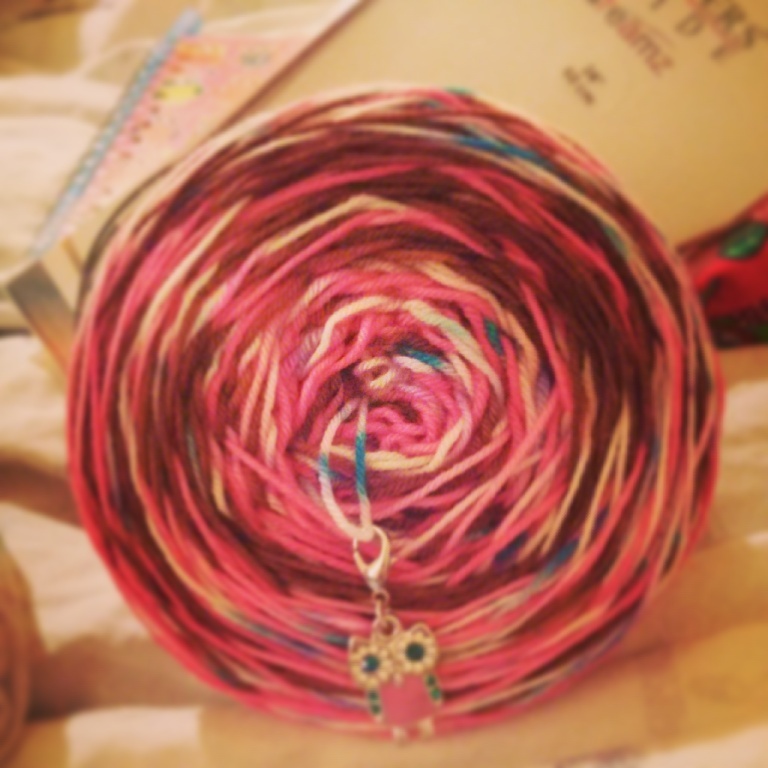 Val is making a crochet baby blanket for a friend’s little boy out of Herrschners Baby Yarn. It’s a striped blanket with blue, green, yellow and a scalloped lace border. (And what Val forgot to mention in her ramblings is that the green Herrschners baby yarn had a few breaks in it, but it’s all good!) She’s planning a ‘corner to corner’ blanket for her new nephew that is on the way and we’re anxiously awaiting for his arrival. 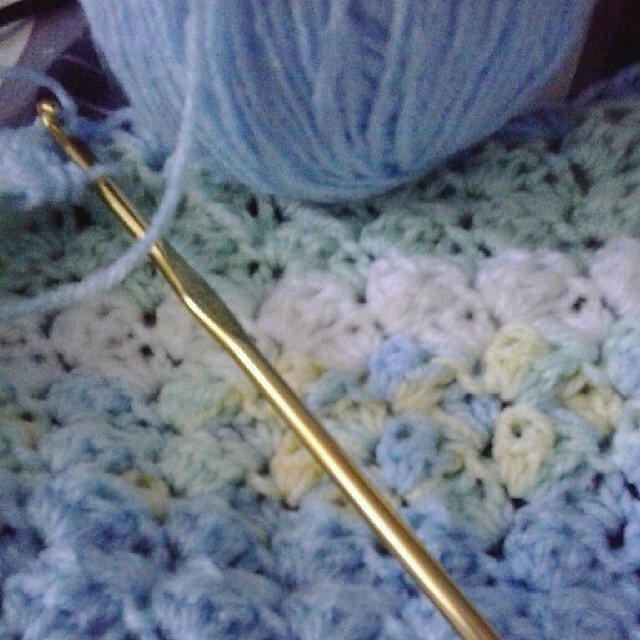 Also in the works for Val is a crocheted granny square bed blanket for her bedroom. She has some brightly coloured rainbow yarn to pair with some white – all the yarn for this afghan is Red Heart so it is cost effective since crochet uses 3 times as much yarn as knitting, so with a large blanket you can stay in budget. As well it is washable and dryable. The only thing good about the Phantom Menace was Ewan McGregor!! And we touch briefly on what we’ve been watching, and looking forward to the new Star Wars movie (and Katy was mistaken, much to our dismay it doesn’t look like Benedict Cumberbatch is going to be in it)! But we loooooooooooved him in Star Trek: Into Darkness. For Star Wars, the original trio will be in it as well as rumoured son of Han and Leia! Katy has been watching 24: Live Another Day, Jim Henson’s Creature Shop Challenge and Wild Things with Dominic Monaghan. Val has been watching Game of Thrones and Once Upon a Time. You can find all of our contact info on our respective pages right here on the blog and as always, feel free to friend us on Ravelry, Instagram – Val is ‘stitchesandcurls’ and Katy is ‘kittyvankat’, and you can always ask us questions right here on the blog!